A Muslim university professor who criticised radical Islamists was shot dead in Dagestan in a killing that sent a shockwave around the conflict-torn Russian region, officials confirm Wednesday. Maksud Sadikov, 48 years, was shot in the yard of his home in Makhachkala, the regional capital of Dagestan, late Tuesday, the Investigative Committee said in a statement. In a region ravaged by violence and extremism like Dagestan, such news might pass unnoticed. Dagestan, a Muslim Caspian Sea region known for its ancient culture and tapestry of ethnic groups, experiences almost daily violence, officials blame on militants seeking to establish an Islamic state across the Russian Caucasus. What makes the difference this time is the victim’s social status. 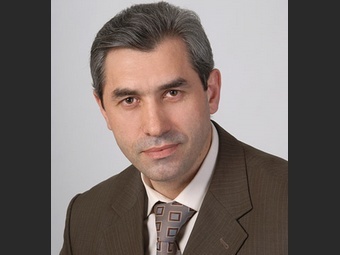 Maksud Ibnuhadzharovich Sadikov was born in 1963 in the settlement Archib of Charodinsky district of Dagestan. He studied in Moscow Agricultural Academy named after K.A. Timiryazev and in the Academy of National Economy under the Government of the Russian Federation. Sadikov had called for moderate religious education to combat Islamist extremism and was an expert on Wahhabism, a form of Islam espoused by insurgents in Russia’s North Caucasus which he fiercely opposed. According to AFP Moscow: “We have lost a very well known man, who had authority in Dagestan. This is not only a murder, it is a challenge to all of our society” said Dagestan’s leader, Magomedsalam Magomedov after an emergency meeting with top security officials. In contrast with Sadikov, unfortunately, the problem of Magomedov is precisely his lack of authority. And the habit of contradicting himself with an innocent nonchalance. Although asked to find and punish the killers, he is one who recognizes that “dozens of people are killed by terrorists every year. And for the most part these crimes are unsolved and the criminals unpunished.” “How long can this continue ?” asked Magomedov, quoted by RIA NOVOSTI agency. Rhetorical question? Surely you’ll be tempted to answer positively. Well, you are wrong, is not a rhetorical question. The things may be headed in the right direction. Or at least that was the message conveyed by Deputy head of Kremlin‘s Administration, Vladislav Surkov in his recent visit to Dagestan. He noted that in Moscow and other Russian regions of the Caucasus “a very special performance”. “People are hardly believe that one can come here and calmly walk through the streets. This distrust is largely far-fetched. Of course, we reverse the situation. But this also need to show a normal life Dagestan. No need to sugar coat anything, but in a black and gray tones show the life of the republic is unjust. Population is much more diverse, interesting, and, by and large, peaceful life, which should tell” – said the deputy head of presidential administration, probably thinking that he deserves a rematch in the struggle for sphere of influence. Approved by Magomedov, of course, who does not really understand anything of the speech upbeat and smiling figure of the first Kremlin ideologist. But I don′t think that his obedience will matter in the Kremlin President’s patience. And in Moscow, the ways struggle for influence are more tangled than the languages of Babylon. Remember that Magomedov wasn’t the candidate initially favored by the President’s circle. Medvedev and his chief of staff, Sergei Naryshkin, originally wanted to nominate Magomed Abdullayev (actually Dagestan’s PM), a former university acquaintance of the Russian president. According an analysis published by Central Asia – Caucasus Analyst and signed by Kevin Daniel Leahy, «the selection of Magomedov signaled a political triumph for Suleiman Kerimov, a billionaire oligarch who represents Dagestan in Russia’s upper house of parliament. At this point, Kerimov’s influence as a lobbyist – strictly in relation to Dagestan’s political affairs – appears to surpass that of Vladislav Surkov, Medvedev’s deputy, who counts Ramzan Kadyrov among his clients.» Of course, is known that the leaders of the various ethno-republics in the Northern Caucasus rely on different personalities to represent their political interests at the federal level. Sergei Naryshkin and Vladislav Surkov represent the leaders of Ingushetia and Chechnya respectively. But expanding sphere of influence is never a finished process. And the events in the Caucasus seem like a horror movie whose subtitle could be even struggle of interests and influence at the high level of Moscow policy. Currently, the analysts have another opportunity: to ask if the President Medvedev should decide to dismiss Magomedov. Even if every one of the conceivable alternatives is dependent on Kerimov’s involvement and his protégés list. 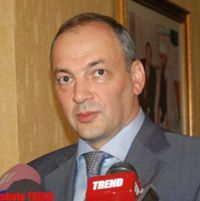 Kerimov would be confident of retaining his influence under Magomed Abdullayev. It is interesting to note an apparent paradox: although Magomedov enjoys his own political support base in Dagestan – his father, an extremely influential man, ruled the republic between 1987 and 2006, Abduallyev have a really advantage: he does not have a political powerbase of his own in Dagestan. Because President Medvedev and his team have to decide for someone who has lived outside of Dagestan for much of his professional life (Abdullayev worked at the St. Petersburg University of the Interior Ministry and headed the sub-department of legal support at the management of Moscow State University) it is assumed that Kremlin’s option can be immune to the sort of corruption associated with inter-clan politicking in Dagestan. Mention that the same reason was important in the appointment of Alexander Khloponin. But not only…At that time, in a special coverage dedicated to the Kremlin Wars Stratfor Global Intelligence considered the appointment of Khloponin a Surkov’s victory in the struggle for influence with Igor Sechin. “Surkov seeks to strengthen his position in the Caucasus by placing another of his loyalists in a position Medvedev recently created: chief of the federal district for the North Caucasus (Chechnya, Dagestan, Ingushetia, Karachay-Cherkessia, Kabardino-Balkaria and North Ossetia). Khloponin’s experience is in economics, which Medvedev says is key to the region’s future stability. This move is an attempt to consolidate control of Chechen security under Kadyrov — and essentially Surkov and the GRU — while consolidating investment and economic influence in the region under a Surkov loyalist. 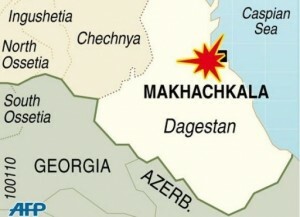 But the Interior Ministry, led by Sechin loyalist Rashid Nurgaliyev, and the FSB control security in the areas surrounding Chechnya (Ingushetia and Dagestan), creating a tense security situation in the region and another shift in control over key Caucasus republics could occurs when Dagestan President Mukhu Aliyev’s term expires” said Stratfor’s experts (Mukhu Aliyed was the president of Dagestan until 2010 – OR). But they underestimated the qualities of Kerimov lobbyist. However, even if the results on the fight against corruption and extremism in Russia’ Muslim Republics isn’t still seen, because it follows the parliamentary elections and presidential election (next year) are certainly that the struggle for influence will become increasingly fierce. There is NO ‘radical Islam’, just like their is NO ‘anti-Semitism’ or ‘racism’ in Islam. The term “radical” has been applied to many people, who were considered threat to western colonization, such as Nelson Mandela, Rev. Martin Luther King and Malcolm X, Sayyid Qutb, Dr. Ali Shari’ati (the Shia Qutb), Sayyid Maududi, Imam Khomeini, and others. However, now this term is being associated with any Muslim who dare to criticize foreign powers occupying tradionally Muslim lands espectially the Zionist regime in Jewish occupied Palestine. The western historians never called Nazis as “Judeo-Christian radicals” or IRA as “Catholic radicals” or the Jewish terrorist groups which killed tens of thousands of Palestinian natives – as “Jew radicals”. Historically, many of Biblical prophets were “radicals” for challenging the status quo and taught against the corrupt and racist ruling classes – such as Abraham, Lot, Moses, Jesus – and of course the Prophet Muhammad (pbuh), who became “the living example of progressive, emancipatory radicalism,” – as decribed by Michael Hart in his book, ‘The 100″. The western governments, Jewish lobby groups and Christian Zionist organizations are investing hundreds of millions dollars each year to find and project the so-called “moderate Muslims”; fund Islamophobe intellectuals and dozens of anti-Islam think tanks (Rand, Ford Foundation, Asia Foundation, etc. ), and the Jewish-controlled mass-media of course. Interestingly, to be a “moderate Muslim” too, has some limitations. For example, Dr. Tariq Ramadan 46, found it the hard way in 2004 when he was declared as threat to “the US security” for criticizing his fellow Jewish ‘liberal intellectuals’, Dr. Bernard Lewis, Dr. Bernard-Henry Levy, Dr. Daniel Pipes, and Dr. Bernard Kouchner – for defending Israel, right or wrong. The Geneva-born Tariq is the maternal grandson of the founder of Egypt’s Muslim Brotherhood, Imam Hasan al-Bana (martyred in 1948). The “moderate Muslim” was on his way to take-up his teaching appointment at the University of Notre Dam (Indiana), begining August 25, 2004. Tariq Ramadan used to be a darling of Jewish media for saying: “The 7th century Medina model of Islamic State is not only a dream. It is a lie.” Tariq also consider Shari’ah’s capital punishments as “inhumane”! Tariq’s other distorted views of Islam can be read in the interview he gave to Rosemary Bechler, Open Democracy, July 14, 2004. Dr. Tariq Ramadan also maintained a distance from his elder brother, Hani Ramadan, a French school teacher, who is known for his so-called “radical” Islamic views. Hani wrote an article in the major French newspaper, Le Monde, to explain why Islam has such a zero tolerance for adultery and that it followed the Jewish biblical punishments of stoning to death a woman found guilty of committing adultery, for which Hani was suspended for teaching in the school. Islam clearly prohibits a ‘pre-planned’ violence against civilians and acts of terror. However, terrorism and radicalism are two completely different things. It all depends who is using these terms. For the foreign occupiers of Muslim lands – all resistance to their occupation is considered as terrorism. Similarly, every Muslim who is proud to be following the Islamic Shari’ah (which doesn’t divide Islam into two independent spheres, one for the mosque and the other for the State – as is the case in Judaism and Christianity), is labeled as a “radical” or “terrorist” or “Jihadi”. Islam is the religion of “the middle way” – “Thus have We made you an Ummah of the middle way, that ye might be witness over the nations, and the Messenger a witness over yourself,” – Holy Qur’an 2:143. However, Islamic message do challenges the institutionalized injustices, inhumanity, immorality, greed, and other evils in the world by establishing a new social order built on bonds of ethics, justice and trust. Islam rejects all forms of racism, caste system, all forms of oppression, usury, abuse of laws for the ‘chosen ones’ and dehumanization of man on the basis of colour, nationality and religion. All these principles are considered “radical”, especially in the societies controlled by the Zionist-controlled-governments (ZOG). So, in conclusion, the next time some jerk call you “a radical Muslim”; don’t apologize, be proud.